Listen to this penguin who’s always on time! Tell him to give you the time or the date. He will answer you thanks to his voice recognition system. Have fun moving the clock hands to tell what time it is. 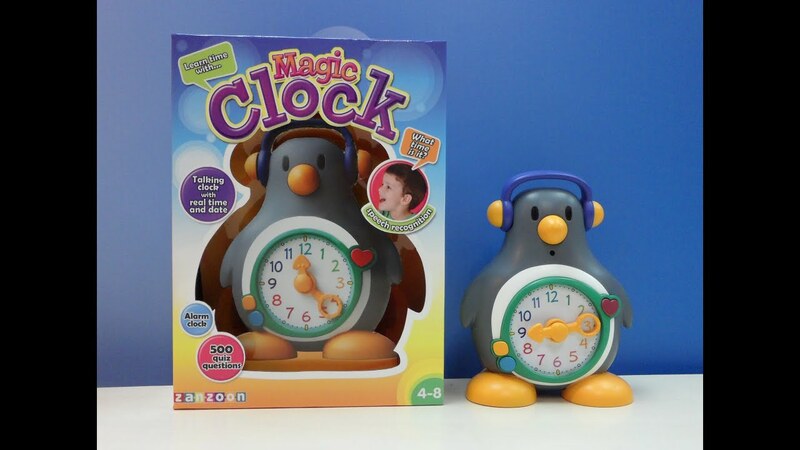 To get off on the right foot, the magic clock features a wake-up function and 60 different alarm tones. Plus, it will even sing the happy birthday song to its owner on their special day!